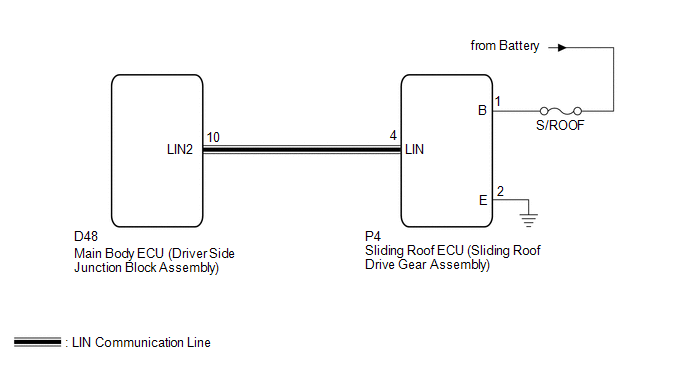 This DTC is stored when LIN communication between the sliding roof ECU (sliding roof drive gear sub-assembly) and main body ECU (driver side junction block assembly) stops for more than 10 seconds. 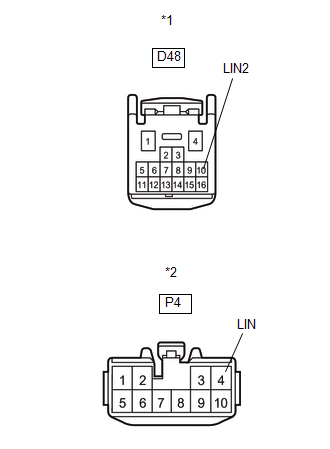 No communication between the sliding roof ECU (sliding roof drive gear sub-assembly) and main body ECU (driver side junction block assembly) for more than 10 seconds. 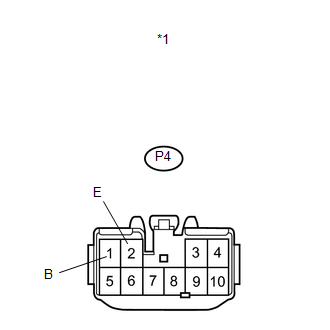 (a) Replace the sliding roof ECU (sliding roof drive gear sub-assembly) (See page ). DTC B1273 is not output.